It is the week of St. Patrick’s Day, one of the biggest party nights of the year. In 2018 it occurs on a Saturday night, so get ready to start the celebrations on Friday. While you are getting ready for the festivities, we have some songs on a few new releases you might want to bring along with you. 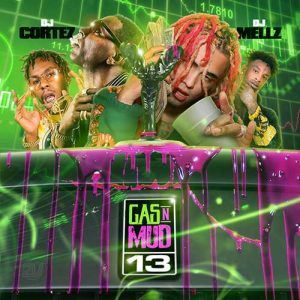 First, DJ Mellz and DJ Cortez team up to bring you another installment of the “Gas N Mud” franchise. Part 13 of the series contains a playlist of tracks by Gucci Mane, Migos, Lil Yachty, Rx Juvi, D Savage, Trippie Redd, Tory Lanez, Young Thug, Smooky Margiela, Gunna, LH, Hoodrich Pablo Juan, Sauce Walka, FBG Duck, Loso Loaded 21 Savage, and other hip hop emcees. As always, the Gas N Mud mixtapes always have some dope graphics done for their cover inserts. 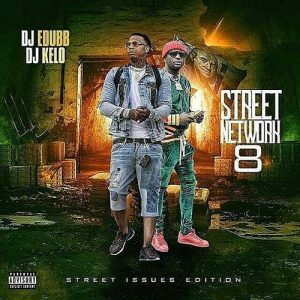 Next, DJs Kelo and E-Dub collaborate on the newest edition of the “Street Network” music catalog. Volume 8 of the collection is sub-titled “Street Issues Edition”. Look for music on this product by emcees such as MoneyBagg Yo, Ralo, London Jae, Yo Gotti, Sonny Digital, Webbie, Seanie Boy, Money Man, Don Q, Strap, Bankroll Fresh, Yung Mal, Lil Quill, Websta World, Young Chop, Jlo Peso, Randy Rifle, Q Money, 24Hrs, Lil Durk, and other hip hop lyricists. Third, is a guy by the name of DJ Tokars that also goes by the nickname of The Mayor Of The Streets. 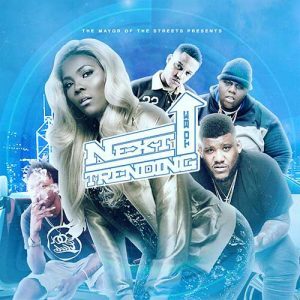 He comes out with a new line of mixtapes titled “Next To Be Trending”. The first installment of this product catalog contains a playlist of new songs from Lil Wayne, Greedo, Key Glock, Lil Durk, Aceimal, Code Rode, NBA YoungBoy, Q Money, Lil Onehunnit, Nickoe, Seanie Boy, Lil Skits, 2 Chainz, RaRa, BlocBoy JB, Premadonna, Trouble, Juliano, Scotty ATL, Yahweh, Joey Bada$$, XXXTentacion, and many more street emcees. Fourth, comes a drop from DJ Ben Frank. 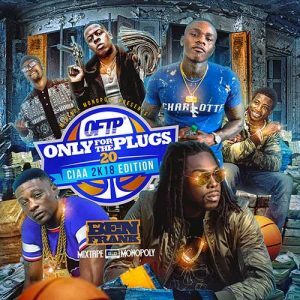 He gives the streets another installment of the music catalog labeled “Only For The Plugs”. Number 20 contains tracks by DaBaby, FBG Casino, 21 Savage, Hundun Chulo, Stuey Rock, Cutty Cutright, Skooly, 2 Chainz, Rise DPK, Gucci Mane, NBL Twinz, Boosie Badazz, Byrd Bino, Charlie Drugz, Rocky Badd, Lil Xan, Sonny Digital, Young Sizzle, G. Herbo, Lil Shaq, and more. 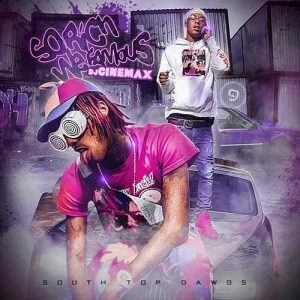 Finally, DJ Cinemax releases to his fans the product called “So Rich We Famous”. This is the first in a new series of mixtapes by this DJ. Look for free music downloads on this title by 10take Wonder, Dave East, Q Money, Kodak Black, King Louie, Chief Keef, Lil Durk, A Boogie Wit Da Hoodie, Caden MF Davis, A$AP Ferg, Jay Critch, Tay-K, Skippa Da Flippa, Mar, Rezzy, Robb Banks, and a gang of other block lyricists. That’s all we got for now of the hottest releases to check out and possibly put in your lineup of funk. Everyone be sure to have a safe holiday weekend and have a designated driver because nobody wants to deal with the law. While you are on the go, pull up the site on your mobile browser, so you will always have music with you.